Over the weekend, the Séléka rebel alliance seized Bangui, capital of the Central African Republic (CAR). This most recent offensive was the latest development in a rebellion that commenced in December 2012 over President François Bozizé’s failure to implement the 2007 Birao Peace Agreement (.pdf) and the 2008 Libreville Comprehensive Peace Agreement (.pdf). 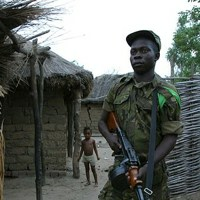 In those deals, Bozizé’s government had agreed to provide amnesty for former combatants; to pursue the disarmament, demobilization and reintegration (DDR) of the rebel forces; to provide compensation for those demobilized and the integration of some former rebels into the official armed forces of the Central African Republic; and to share political power. But with little if any progress made since the signing of these agreements, it was only a matter of time before the conflict reignited.